In the era of customer-centric business, marketing is the crucial link between you and your audience. By analysing your interactions with customers and responding with personalised content, you are making the first step towards digital transformation. SAP Marketing Cloud is a fast, effective way of bringing this capability to your business. To help even more UK businesses in their digital goals, the Influential Software team is promoting our SAP Marketing Cloud services through a dedicated website. SAP Marketing Cloud helps you build the key to satisfying modern audiences – targeted information based on real-time analysis. By spotting trends, you learn who is likely to buy what. This can inform fresh strategies that improve conversions. And with automated offers and recommendations, you ensure that customers stay loyal and engaged with your company’s mission. Our SAP Gold Partner team provides a full list of services for SAP Marketing Cloud, from consulting to licences, migration to implementation. Clients can get the best value by choosing to buy licences with a custom service package that ensures high ROI. SAP Marketing Analytics is a modular system, allowing for a high degree of customisation. Select options for profiling, segmentation, campaigns, commerce, planning, loyalty, lead management, and attribution, as well as marketing analytics. Based on the SAP HANA in-memory platform, SAP Marketing Cloud also includes the SAP HANA Cloud and the SAP Fiori user experience. This trio of SAP technology allows for a fast, reliable, intuitive, scalable, flexible, and integrated experience. Cloud deployment lets you get up and running without the stress of infrastructure or up-front costs. Add and remove modules whenever you like, matching your marketing efforts as they evolve. To get the best value from SAP Marketing Cloud, UK businesses prefer Influential Software. Our SAP Gold Partner expertise guarantees your smooth transition to next-generation marketing. 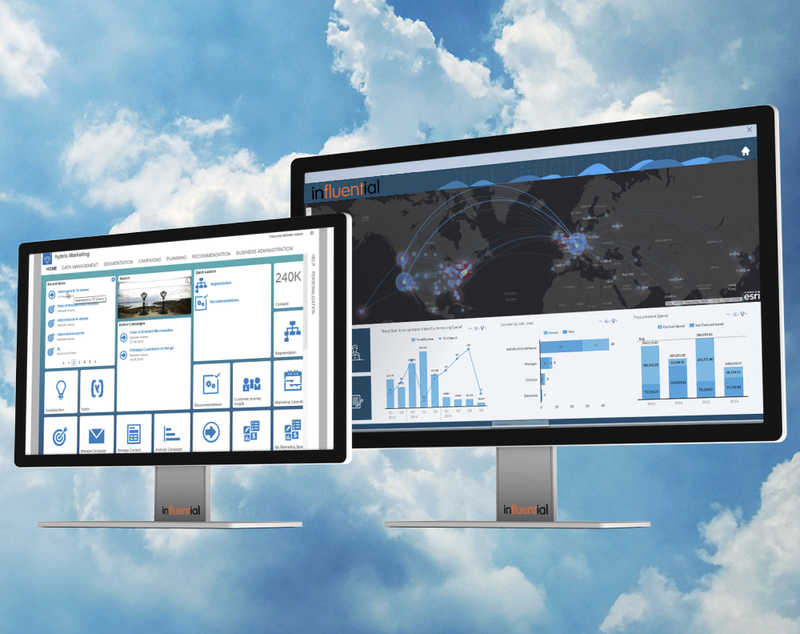 If you’d like to know more about our SAP marketing Cloud services, feel free to visit our dedicated site. In an interconnected world, marketing is much more than a vehicle for conversions. Modern, customer-centric business has turned marketing into the interface between you and a global audience. By making that interface seamless, smart, and responsive, you can create a loyal and engaged customer base – with the conversions to match. Now that interface is smarter than ever before, thanks to the SAP Marketing Cloud update September 2018. What Is the SAP Marketing Cloud Update? 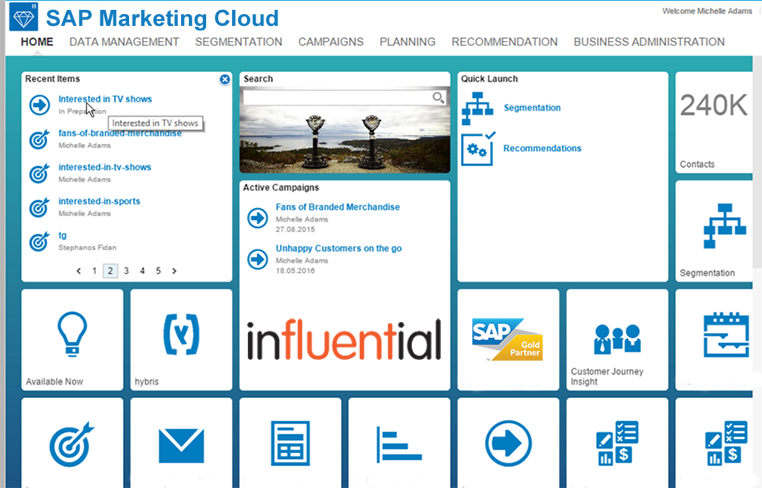 SAP’s update adds new smart capabilities to SAP Marketing Cloud. Called “SAP Intelligent Services for Marketing”, the services bring the artificial intelligence abilities of SAP Leonardo Machine Learning to the marketing table. These AI tools analyse the footprint that consumers leave behind while shopping online or offline. This analysis is presented to marketers in a visual format. Marketers can then use this analysis to detect churn patterns in individual customer behaviour. The new AI service allows marketers to focus on the best sales leads, better understand customers’ preferences and intent, predict customers at risk, and take fast action to keep them. The outcome is higher customer retention, greater brand loyalty, and increased revenue. The SAP Marketing Cloud update September 2018 is particularly good news for sectors such as sports, banking, and B2B. With churn rates as high as 25 percent, these industries stand to make huge gains from AI marketing tools. In sports, SAP Marketing Cloud is making a tangible difference to the retention of season ticket holders. While in banking and B2B, the AI makes it easier to spot high-value customers and high-risk accounts very early on. With Influential Software’s expert consulting and technical services for SAP Marketing Cloud, our clients guarantee a fast, optimised, and cost-effective solution. Our team’s work with SAP Leonardo machine learning services brings a second layer of expertise to the new marketing AI. Interested in finding out more about SAP Marketing Cloud? Feel free to visit our dedicated site.